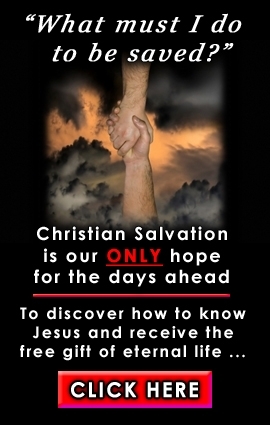 You are here: Home » Church » Rapture or No Rapture – You Decide! Rapture or No Rapture – You Decide! Rapture or No Rapture - You Decide! Below are several anomalies that deserve research and further consideration, but which most indoctrinated believers will not even entertain another opinion, under any circumstances. 1. The English word coming translates from the Greek word parousia which translates to a literal visible and physical appearing (NOT INVISIBLE OR SECRET). This word is used in 1 Corinthians 15:23 … talking of the resurrection. in 1 Corinthians 15:22 For as in Adam all die, even so in Christ shall all be made alive. in 1 Corinthians 15:24 Then cometh the end, when he shall have delivered up the kingdom to God, even the Father; when he shall have put down all rule and all authority and power. 2. A principle demonstrated in scripture is that the natural evidence comes first then the spiritual always follows, it never precedes it. In regard to 1 Corinthians 15;46 why would God contradict his own principles written in His word and initiate a spiritual coming first followed by a natural coming second? It does not fit the pattern. 3. Never in any of the early church fathers writings nor in any of the early historians is a hidden rapture ever alluded to or referred to let alone given credence and taught. I heard Grant Jeffries make reference to the fact that he had found a reference in one of the early church fathers writings to the hidden rapture but when I checked it out as many did it was so vague and interpretive none could accept that it was of any significance at all, totally questionable and doubtful at best. 4. Here is a very prominent point in regard to this subject which has great significance to a discerning researcher. I often encounter preachers, who preach the truths of the book of Revelation, which I can immediately discern are not correct. This single statement makes me sound like a know it all, but that is not correct. As I mentioned earlier I do not posses nor pretend to have all truth but I do research subjects that many do not and this alone qualifies me to ascertain biblical truth better than others. Let me explain. I have sat in many seminars listening to men expound the book of Revelation, that simply does not stand up to scrutiny because of their lack of knowledge on biblical culture or history. I have questioned many at the end of their seminars as to their knowledge of certain subjects such as the Feasts of Ancient Israel mentioned in Exodus 12 and Leviticus 23 or The Tabernacle of Moses taught in Exodus 30 to which many of these teachers have replied that they have never looked at those particular subjects. My personal comment is then one of wonderment bordering on contempt, as one cannot understand the picture language of Revelation without an integral understanding of the afore mentioned historical, Hebrew cultural concepts. Let me digress for a moment. How can you understand Revelation five verses one to nine, if you do not understand the truth or scroll recording process of redemption by a kinsman redeemer, mentioned in Leviticus 25, Ruth 4 and again in Ezekiel 2:9 &10 as well as Jeremiah 32:8 ? Consider also the fact of the Tabernacle of Moses which consumes copious amounts of scripture in the Bible and about which many verses of the Book of Revelation are woven. A particular example is Revelation chapter 11 where John is given a measuring stick and told to measure certain parts of the temple and then to leave out certain parts from measuring. You can never understand this section of the book unless you understand the Tabernacle of Moses. There is also the knowledge of the Feasts of Israel and all the references made in the Apocalypse of John (Revelation) to those feasts in Johns typology or pictogram language. 5. Another significant detail worth noting here which astounds me as to how it is so blatantly overlooked, is the simple fact of Jesus return when the dead in Christ shall arise from the earth. The Biblical time line actually mentions a moment in the future referred to as the LAST TRUMP or literally the last trumpet in 1 Corinthians 15:52 . The Greek word says it all. It defines this trumpet as the farthest or final trumpet. There is what is called the Feast of Trumpets revealed and taught in Leviticus 23 and in that feast there are seven individual trumpets mentioned, all referred to in the Book of Revelation and in sequence each one will sound in turn. The seventh one is known as the LAST TRUMP, the final trump and when you look at the time when that trumpet sounds certain things occur. Those things are particularly significant as time ends on earth at the sounding of that trumpet, and when time ends Jesus is visibly seen in the heavens then judgement begins. There is no period of three and one half years or a seven-year period which continues beyond that moment. Time ends at that moment forever. Also, the kingdoms of this world are transferred back to the control of the Lord at this very time. Revelation 8:2 mentions the seven angels and their seven subsequent trumpets. Revelations 8:2 And I saw the seven angels that stand before God; and there were given unto them seven trumpets. Revelations 10:7 In the days of the voice of the seventh angel, when he is about to sound, then is finished the mystery of God, according to the good tidings which he declared to his servants the prophets. Revelations 11:15 And the seventh angel sounded; and there followed great voices in heaven, and they said, The kingdom of the world is become the kingdom of our Lord, and of his Christ: and he shall reign for ever and ever. Simple distortions of scripture which folk do not research or consider important become acceptable, which then become condoned rather than condemned, and we become conditioned to these errors … considering them errors no longer. Two such scriptural interpretations relate to the theory of pretribulation rapture. The first scripture I will refer to is from the Book of Daniel. some to everlasting life, and some to shame and everlasting contempt. Pretribulation advocates teach that there is a division alluded to here, where the righteous dead arise first, then the unrighteous dead arise after the tribulation period - three and a half years or seven years later, determined by which ever doctrinal position taken. The fact is, however, that neither period is mentioned in truth here … not a seven or a three and a half year period. It simply states a resurrection will take place at the end of time when both the righteous and the unrighteous will rise from the dust of the earth; some will attain life and some judgement shame and everlasting contempt. No where does the Bible suggest there is a division between these two groups in their resurrection at all. The second scripture I will refer to is the familiar one used to justify and validate a pretribulation rapture. It is a total distortion and a violation of scriptural interpretation. The particular scripture relates to that which Jesus proclaimed concerning Noah and the flood in Matthew 24. Matthew 24:37 As it was in the days of Noah, so shall be the coming of the Son of man. For as in those days which were before the flood they were eating and drinking, marrying and giving in marriage, until the day that Noah entered into the ark, and they knew not until the flood came, and took them all away; so shall be the coming of the Son of man. If you follow the reasoning of these eschatological interpreters, they tell us that as Noah and his family were taken out before the flood symbolising the rapture so the saints will be snatched out before the coming floodtide and judgement. But if you follow this thinking systematically you realise the ones who were snatched away were not the God fearing and righteous but the wicked. Jesus said those who lived in the time of Noah were eating and drinking (gluttonous and drunkenness) marrying and giving in marriage (infidelity) and for these reasons the flood was sent to take THEM all away. The wicked were taken not the righteous. It is said that John the revelator was called up into heaven in Revelation 4 after which the church is no longer mentioned as being on earth. It is said that it is symbolic of the Church being raptured to heaven before the judgement which is to come. All I will say here is that this reasoning is pure nonsense and is totally and purely speculative. The Bible categorically does not state this at all and therefore there is no validity with absolutely no doctrinal foundation to it at all whatsoever. Finally let me make a case for the Church being here through the great tribulation period, but provided for and protected through it. If you understand the study of the Feasts of Israel and Hebrew culture you will know that every seventh year is a sabbatical year when the ground must lie idle or fallow without being tilled all that year. So every multiple seventh year is a year for the land to lay idle, every forty ninth year is a sabbatical or multiple of the seven year cycle and the ground would remain untilled according to the law of God in that year. But in Hebrew culture every fiftieth year which was known as a jubilee year, the land had to lie idle also so in the jubilee season both the forty ninth and fiftieth year the land had to remain untilled. Therefore the last harvest reaped in the jubilee season was reaped in the forty eighth year and the next harvest would be reaped at the end of the fifty first year, exactly three and a half years after reaping the last seasonal harvest. God had stated to his people that he would provide a bumper crop in the jubilee season which would last over that complete period of three and one half years, exactly the period of the great tribulation. This crop or bumper harvest was known as the JUBILEE HARVEST. Finally let me make mention of one other major point of contention here and that is in Revelation 12; 6 and also verse 14 where it states the woman, the church, the Bride of Christ is to be nourished and provided for and protected by God himself in the wilderness for a time, two times and a half a time and then again this time period is repeated as a period of twelve hundred and sixty days. A time in Hebrew is a revolution of the earth around the sun. Their solar year has three hundred and sixty days, a day for a degree of revolution in our annual solar cycle. So a time is a complete three hundred and sixty degree turn of the earth’s calendar in its solar cycle therefore a time is one complete year. I am well aware of the fact that traditionalist interpretation of Revelation teaches that the birth of the man child is Christ and the woman is Mary and Chapter twelve is historic not futurist. I do not accept that at all. If so, why did Jesus now glorified say to John come up hither and I will show you things which are yet to come to pass hereafter, meaning to soon follow Revelation 4:1 . Also in John 1:1 Jesus states The Revelation, given to John literally is interpreted…. things fixed in time (predetermined) a brief space of time hence or yet coming, when these things will generate or will be caused to be or alternatively come in to being. Again in verse three of Chapter one, it states: "Blessed is he who reads hears and keeps the words of this PROPHETIC MESSAGE, as the time of its fulfilment is at hand immediately yet to be seized (future)".To suggest Revelation twelve and other chapters is not futurist but historic, categorically contradicts and denies Jesus prophetic words. Also when it is all summed up, John’s revelation is called the APOCALYPSIS (the revealing, the unveiling) of future culminating events. These aforementioned chapters make it clear that at the time of the end when the devil is finally cast down upon earth he will go after the saints for a three and a half year period to persecute them but she will be protected and nourished their by God himself much as the church was protected in the catacombs in the siege of Jerusalem. It also should be noted that Revelation 13 refers to the marking in the forehead and right hand those who submit to a devilish humanistic anti Christ system on earth at that time and once they have done so they are sealed forever to damnation. But if you study the Book of Revelation you will see that God in Revelation chapter seven verse three has already sealed his saints in their foreheads so they can not be touched by Satan and Satan’s mark later. This subject could continue for some many pages but time and content must end at this point. Maybe some time in the future I will unfold and explain it further.